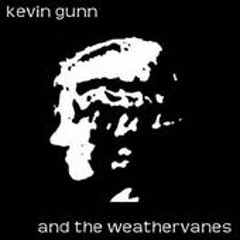 Here’s a very talented singer / songwriter / musician / arranger – Kevin Gunn. A friend from years ago, we recently were back in touch. There’s some really funny stuff. He’s got a great, dark, intellectual sense of humor – he’s a great writer. The music has something for everyone; some of these are really rockin’! The tunes stick with you. There’s a couple of country-ish ones I really like, with violin and Spanish guitar. They’re all good. His singing compares favorably to Warren Zevon’s, emotive and plaintive at times, if not quite as ragged (a good thing.) If I was a radio programmer, these songs would all be top forty. I love his singing, playing and arrangements. Listen to “Aunt Bee” and “Honey, It’s the Police” as a whacked-out introduction to a finely honed sense of humor. I particularly like “Honey It’s The Police”. This song, for me, gets inside the mind of someone that has taken things to the nth degree – some bizarre strain of violence. As their world becomes narrower and narrower, they are left wondering, detached and perplexed, at their own actions. It’s examination via the vicarious. Plus it’s got a great melodic vocal hook that drew me back to the song, got me interested. Kevin, outstanding songs! I hope a lot more people get to hear your work! Gonna be trouble in Mayberry tonight! Aunt Bee, where are you goin’? Aunt Bee, where are you goin’ – now?